I like that in the third world countries you fix everything, things really have to broken before you throw them out and buy something new. A mentality we here in the west really could and should learn from. 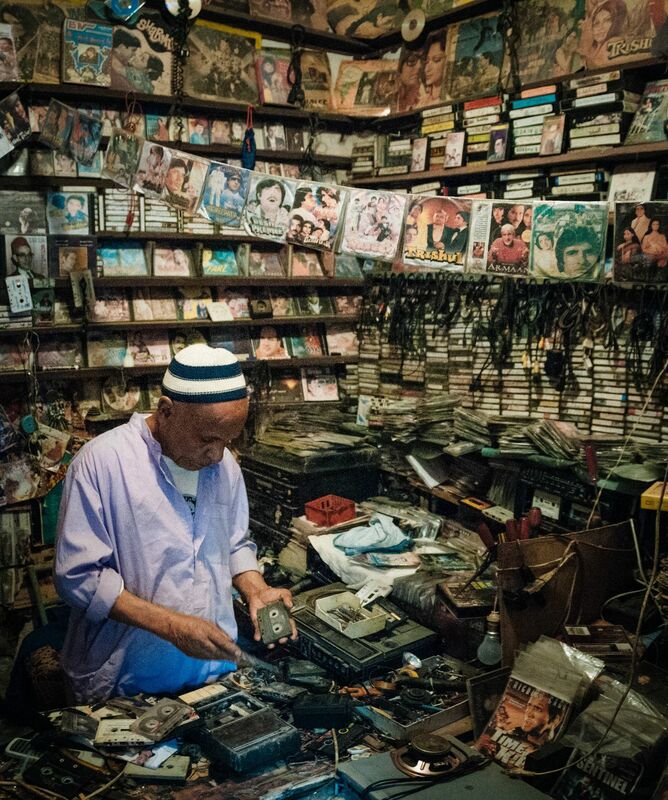 Here it’s a cassette repair man in Marrakesh, Morocco. The photo is actually a stitch from two photo’s I had made of him, they were staggered a little bit so I could stitch them together and get a little more of his shop in the photo. The compact cassette repair man by Bo47 is licensed under a Creative Commons Attribution-NonCommercial-NoDerivatives 4.0 International License.